with amazing wildlife trust sites i think Manchester is so groovy in its own special way asides not having a beach. 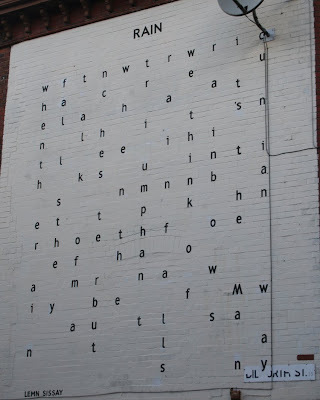 This is a traditional concrete poem, a syle well known in the UK, following the likes of Edwin Morgan and Hamilton Finlay-- nothing weird about it at all. And the final line, of course, is an obvious pun on the "Mancunian Way", major city centre road and prevalent attitude in life. "High on something" or "pissed"? Look elsewhere.